Choose a side. 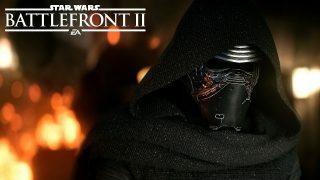 Star Wars Battlefront II The Last Jedi Season brings your favorite stormtrooper-turned-hero Finn and The First Order's Captain Phasma to the battlefront. 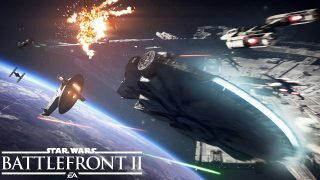 A first look at space battles in Star Wars Battlefront II's Starfighter Assault mode. 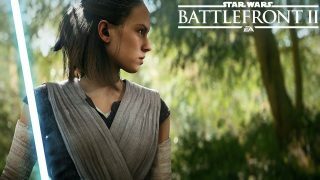 In the Battlefront II single player campaign you’ll play as Commander Iden Versio, a young and brave Imperial soldier raised under the tutelage of her father. Her superior abilities and gifts make her a natural leader for Inferno Squad. 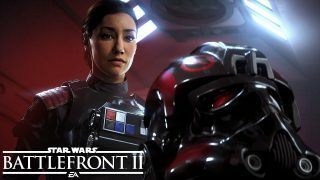 The Star Wars Battlefront II multiplayer gameplay trailer has arrived! Prepare yourself to join huge battles for the fate of the galaxy across landscapes from the Star Wars prequels, original trilogy, and the new trilogy era. 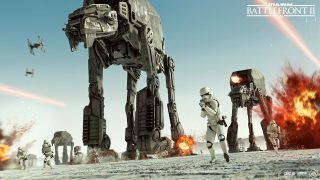 You must sign in and sign up for STAR WARS: Battlefront 2 and EA emails before you can redeem your [IN-GAME ITEM]. You must sign up for the STAR WARS: Battlefront 2 newsletter before you can redeem your item.